While waiting to meet with a client on death row recently, I was chatting with a corrections officer who had been working at this state’s notorious maximum security prison for more than two decades. He told me that he preferred working on death row over the prison’s general population. The death row prisoners, he said, are the easiest ones to manage. They’re rarely serial criminals. They’re not the prison’s troublemakers. For the most part, he said, death row is made up of people who made one horrible, tragic mistake. While it isn’t always that simple, this officer sees that the prisoners he interacts with are people — damaged people, but people who can be punished safely and effectively without the government taking their lives. Pope Francis recognized this earlier this month when he announced that the Catholic Church would no longer defend the death penalty in any circumstances, and the church would work “with determination” to end the practice. As Pope Francis acknowledged, at its core the death penalty is an affront to human dignity. Our criminal justice system should instead value rehabilitation and redemption. We should not as a society turn our backs on the least among us. I’ve seen the power of redemption with my clients who have accepted life sentences to avoid a death sentence. One client obtained a janitorial certification in prison, describing it as his life’s proudest accomplishment. Another, inspired by his Christian faith, creates beautiful works of art and shares them with ministers who visit the prison, to share with their congregants. Pope Francis’s rejection of the death penalty does not absolve people who commit homicide of punishment altogether. He acknowledges rather that there are suitable, safe alternatives to the government taking another life to address the harm to society. The death penalty in the United States offends human dignity because it cannot be divorced from our country’s legacy of lynching and racial terror. People of color are still disproportionately sentenced to death, especially when the victim is white. And black defendants are still sentenced to death by all-white juries. The death penalty also offends human dignity because it does not deter. States without the death penalty have lower homicide rates than those that retain it. It should come as no surprise that the cycle of violence — both individual and institutional — perpetuates more violence. The death penalty also offends human dignity because it has proven an unreliable and failed experiment, where scores of innocent people have been sent to death row for crimes they did not commit — now up to 162, and counting. Pope Francis did not emerge with this view from a liberal enclave. There is growing conservative opposition to the death penalty in the United States. And of course, the Catholic Church has long taught that the death penalty should be reserved for the rarest of cases, when no other punishment was practicable. I came to oppose capital punishment from my own Catholic upbringing. As a child, I toured my local parish jail with Sister Margaret McCaffrey, “North Louisiana’s Mother Theresa,” as Sister Helen Prejean once described her to me. I saw what so many people never have a chance to see: that the people locked up were — people. They were brothers, sons, fathers, cousins, neighbors. They were broken, frail people who had made mistakes, sometimes very serious ones. But they were people who were capable of redemption. People who, the church taught us, as the least among us, should be shown love, compassion and dignity. Pope Francis’ announcement aligns with the sentiments of a growing number of people in the United States. Prosecutors and jurors across the country continue to reject the death penalty in favor of life sentences, with death sentencing at an all-time low. Several states have abolished the death penalty in recent years, and politicians on both sides of the aisle continue to introduce new legislation to curb or end its use. Still, the United States stands alone among Western democracies in its retention and heavy use of the death penalty. Catholics, and all people in the United States, should reflect on this failed government institution, and like Pope Francis teaches us, reject it in all circumstances. 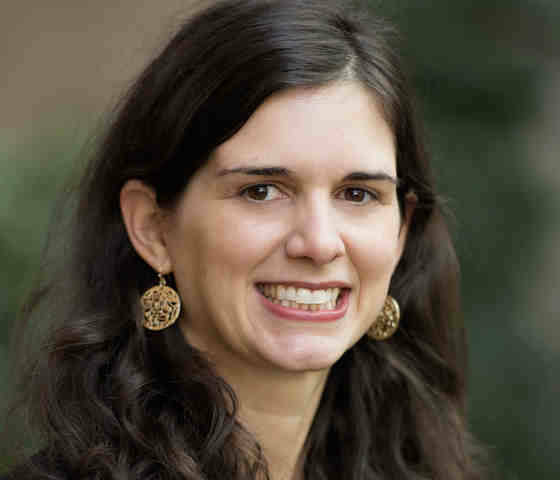 Anna Arceneaux is senior staff attorney for the ACLU Capital Punishment Project. She wrote this for InsideSources.com. Writing on democracy, I’m reminded of a great old Stevie Wonder song, “Love’s in Need of Love Today.” Democracy is in need of love today: It is taking a beating nearly everywhere, including right here. Remember the optimism that accompanied the fall of the Berlin Wall in 1989 and the collapse of the Soviet Union two years later? Democracy was going to sweep across eastern Europe, the new Russia was going to undergo dramatic changes under glasnostand perestroika. There was great hope for democratic change in Africa and Latin America. And then the backlash came, and we see what has happened in all those countries, starting with Putin’s Russia. Trump’s foreign and domestic actions surely contribute to the worldwide assault on democracy. For one thing, he has been fulsome in praise of despots, legitimizing their rule by embracing them as Nicholas Kristofand others have observed. The list is long, and includes Russia’s Putin, China’s Xi, the Philippines’ Duterte, Egypt’s al-Sisi, Turkey’s Erdogan (until just recently), Myanmar’s military, Cambodia’s Hun Sen, Hungary’s Viktor Orban, and (most extraordinarily) North Korea’s Kim Jong-un. Trump has made perfectly clear that democracy, including respect for human rights and accountable, transparent government, is irrelevant to friendship with America. Only the deal, usually meaning money, counts. That standard has led Trump to allow relations with democratic governments in Europe, East Asia, and elsewhere to deteriorate. Who needs NATO, the EU, security alliances, or the World Trade Organization if America can’t get its money’s worth? Traditional US allies must now put up with Trump tactics such as trade wars, demands for more military spending, direct criticism of their leaders, and efforts by Trump minionssuch as Stephen Bannon, Nigel Farage, and their so-called Movement to elect more anti-EU “populists” to the European Parliament next spring. A southern city has now become synonymous with the ongoing scourge of racism in the United States. A year ago, white supremacists rallied to “Unite the Right” in Charlottesville, protesting the removal of a Confederate statute. In the days that followed, two of them, Christopher C. Cantwell and James A. Fields Jr., became quite prominent. The HBO show “Vice News Tonight” profiled Cantwell in an episode and showed him spouting racist and anti-Semitic slurs and violent fantasies. Fields gained notoriety after he plowed a car into a group of unarmed counterprotesters, killing 32-year-old Heather Heyer. Today this tragedy defines the nature of modern racism primarily as Southern, embodied in tiki torches, Confederate flags and violent outbursts. As historians of race in America, we believe that such a one-sided view misses how entrenched, widespread and multi-various racism is and has been across the country. Racism has deep historic roots in the North, making the chaos and violence of Charlottesville part of a national historic phenomenon. Cantwell was born and raised in Stony Brook, Long Island, and was living in New Hampshire at the time of the march. Fields was born in Boone County, Kentucky, a stone’s throw from Cincinnati, Ohio, and was living in Ohio when he plowed through a crowd. If racism is only pictured in spitting and screaming, in torches and vigilante justice and an allegiance to the Confederacy, many Americans can rest easy, believing they share little responsibility in its perpetuation. But the truth is, Americans all over the country do bear responsibility for racial segregation and inequality. Studying the long history of the Jim Crow North makes clear to us that there was nothing regional about white supremacy and its upholders. There is a larger landscape of segregation and struggle in the “liberal” North that brings into sharp relief the national character of American apartheid. Throughout the 19th century, black and white abolitionists and free black activists challenged the North’s Jim Crow practices and waged war against slavery in the South and the North. At the same time, Northerners wove Jim Crow racism into the fabric of their social, political and economic lives in ways that shaped the history of the region and the entire nation. There was broad-based support, North and South, for white supremacy. Abraham Lincoln, who campaigned to stop slavery from spreading outside of the South, barely carried New York state in the elections of 1860 and 1864, for example, but he lost both by a landslide in New York City. Lincoln’s victory in 1864 came with only 50.5 percent of the state’s popular vote. What’s more, in 1860, New York State voters overwhelmingly supported – 63.6 percent – a referendum to keep universal suffrage rights only for white men. Malignant racism appeared throughout Northern political, economic, and social life during the 18th and 19th centuries. But the cancerous history of the Jim Crow North metastasized during the mid-20th century. Six million black people moved north and west between 1910 and 1970, seeking jobs, desiring education for their children and fleeing racial terrorism. The KKK was a visible and overt example of widespread Northern racism that remained covert and insidious. Over the course of the 20th century, Northern laws, policies and policing strategies cemented Jim Crow. In Northern housing, the New Deal-era government Home Owners Loan Corporation maintained and created racially segregated neighborhoods. The research of scholars Robert K. Nelson, LaDale Winling, Richard Marciano and Nathan Connolly, through their valuable website, Mapping Inequality, makes this history visible and undeniable. Zoning policies in the North preserved racial segregation in schools. Discrimination in jobs contributed to economic underdevelopment of businesses and neighborhoods, as well as destabilization of families. Crime statistics became a modern weapon for justifying the criminalization of Northern urban black populations and aggressive forms of policing. A close examination of the history of the Jim Crow North – what Rosa Parks referred to as the “Northern promised land that wasn’t” – demonstrates how racial discrimination and segregation operated as a system. Judges, police officers, school board officials and many others created and maintained the scaffolding for a Northern Jim Crow system that hid in plain sight. New Deal policies, combined with white Americans’ growing apprehension toward the migrants moving from the South to the North, created a systematized raw deal for the country’s black people. Segregation worsened after the New Deal of the 1930s in multiple ways. For example, Federal Housing Administration policies rated neighborhoods for residential and school racial homogeneity. Aid to Dependent Children carved a requirement for “suitable homes” in discriminatory ways. Policymakers and intellectuals blamed black “cultural pathology” for social disparities. Faced with these new realities, black people relentlessly and repeatedly challenged Northern racism, building movements from Boston to Milwaukee to Los Angeles. They were often met with the argument that this wasn’t the South. They found it difficult to focus national attention on northern injustice. Many Northerners, even ones who pushed for change in the South, were silent and often resistant to change at home. One of the grandest achievements of the modern civil rights movement – the 1964 Civil Rights Act – contained a key loophole to prevent school desegregation from coming to northern communities. In a New York Times poll in 1964, a majority of New Yorkers thought the civil rights movement had gone too far. Jim Crow practices unfolded despite supposed “colorblindness” among those who considered themselves liberal. And it evolved not just through Southern conservatism but New Deal and Great Society liberalism as well. Understanding racism in America in 2018 means not only examining the long history of racist practices and ideologies in the South but also the long history of racism in the Jim Crow North.